WE ACT is working to ensure that the Northern Manhattan community is able to fully benefit from the space at the waterfront. Since Manhattan is an island, hundreds of trucks dump garbage onto transfer stations to be barged for export to other states. 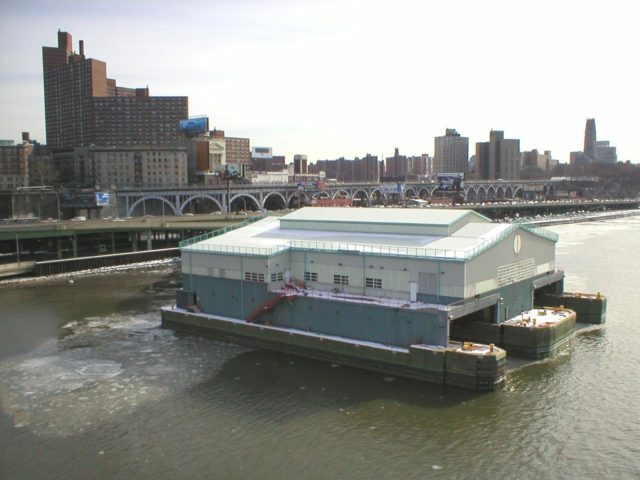 In 2005, Mayor Bloomberg decided not to reopen and expand the 135th Street Marine Transfer Station (MTS). Reopening the facility would have seriously compromised the ability of the Northern Manhattan community to fully utilize the park that is being built due to air quality issues. With the Mayor’s decision, the community has been left with a 28,000 square-foot space on a pier along the Hudson River. A community process had to be put in place to bring about a unified vision for the space, otherwise the NYC Department of Sanitation will find other uses that would not be compatible with the waterfront park. In late 2007, the Mayor’s office commissioned WE ACT to organize a broad-based steering committee and community-based charrette process that would work to find the best possible use for the MTS at 135th Street. This led to the creation of the From Trash to Treasure Campaign. The campaign’s work to bring the community together around the reuse of the MTS will build on similar activities WE ACT conducted several years ago that led to the creation of West Harlem Piers Park. This report details the community visioning process for the 135th Marine Transfer Station.